Mrs. Elham Saudi is the director of Lawyers for Justice in Libya. She co-founded the NGO to give legal support to members of the popular uprising which called for democracy, human rights, and the rule of law. 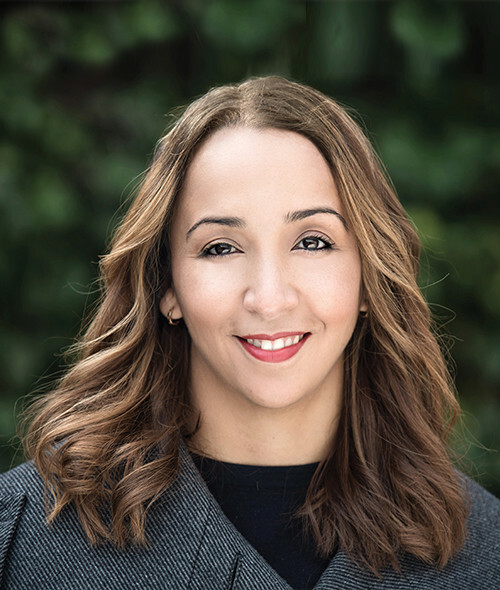 As director of LFJL, Elham has worked on fact checking alleged human rights violations in Libya and setting up a secure online archive in which to store evidence for future use in transitional justice processes. The organization has trained Libyan lawyers and activists to document human rights violations as well as strategic litigation to seek justice for grave violations. Elham is an Associate Fellow in the International Law Program at Chatham House, an independent policy institute based in London. She is also a visiting professor at the Helena Kennedy Centre for International Justice. After finishing her degree in Arabic and Modern Middle Eastern Studies at the University of Oxford, Elham studied law at Nottingham Law School. She holds an LLM in International Law from the School of Oriental and African Studies. Elham is fluent in Arabic, English and Spanish.